For some types of documents you may not wish your paragraphs to smoothly flow from one page to the next. Rather, you may want to make sure that any given paragraph appears all on one page or another. Many times this is the case in legal and academic documents. 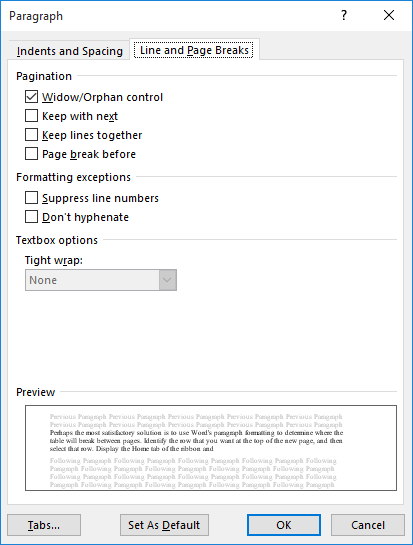 Word includes a formatting feature that will allow you to ensure that paragraphs stay together without a page break in the middle of them. Prev:Windows 10 Quick Tips – PIN Or Password?